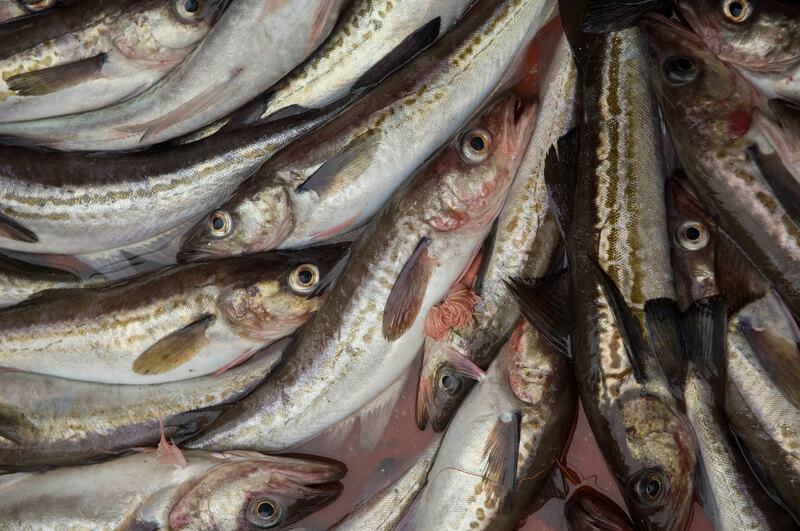 Photographs made for the Genuine Alaska Pollock Producers, a marketing association representing the major producers of Alaska Pollock. During the summer "B season" in the Bering Sea the deck crew of the trawler Pacific Glacier haul and reset their nets around the clock in search of Alaskan pollock . Below decks a full-fledged factory processes the pollock into frozen fillets, surimi and specialty products like pollock roe, which is very popular in Japan.